Whether you’ve been shopping at Express for years or just discovered us recently, you may have noticed: our shirting game is seriously good. From checks and stripes, to the kind of everyday dress shirts GQ calls “spot on” in cut and price, there’s a button-down for every guy in our assortment. We know you know your way around a classic French blue or optic white dress shirt but, should you need a little help sorting out how to style the slightly more daring colors in our range, here are some ideas to get the wheels turning. Take one look at these choice fits and you’ll understand why we design so many variations of the staple every season: they’re the cornerstone of every stylish guy’s wardrobe. Be a country gentleman with a floral tie and rich brown shoes. Double denim is timeless style move for a reason: the uniform palette looks modern and sharp. Bring the look into your business casual wardrobe by wearing a dark blue shirt and trousers together. 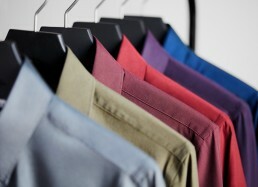 Whether they match exactly or are slightly different in tone, you’ll look better than everyone in your office. 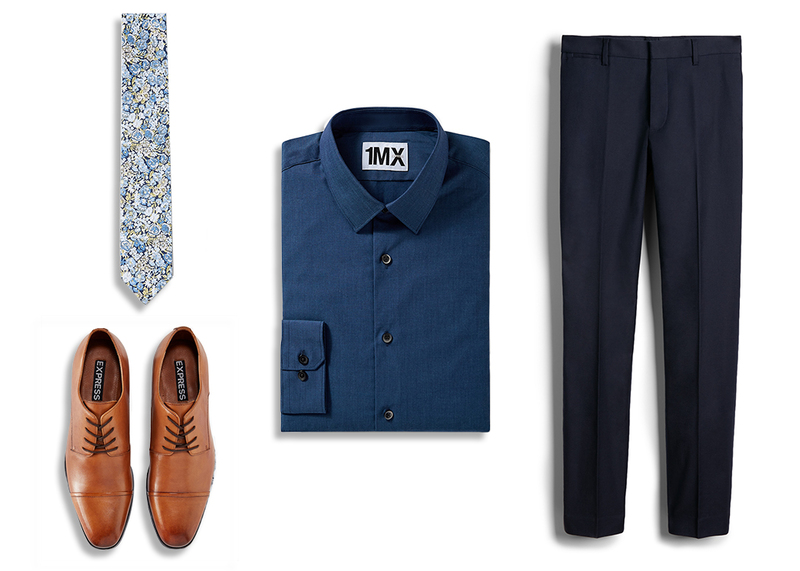 We especially like this combo with a floral tie and rich, brown shoes for some country gentleman flavor. Release your inner Brit rock god with a check suit and Chelsea boots. Purple is the color of music legends but you don’t have to go full Prince to achieve the rock ‘n’ roll vibe. 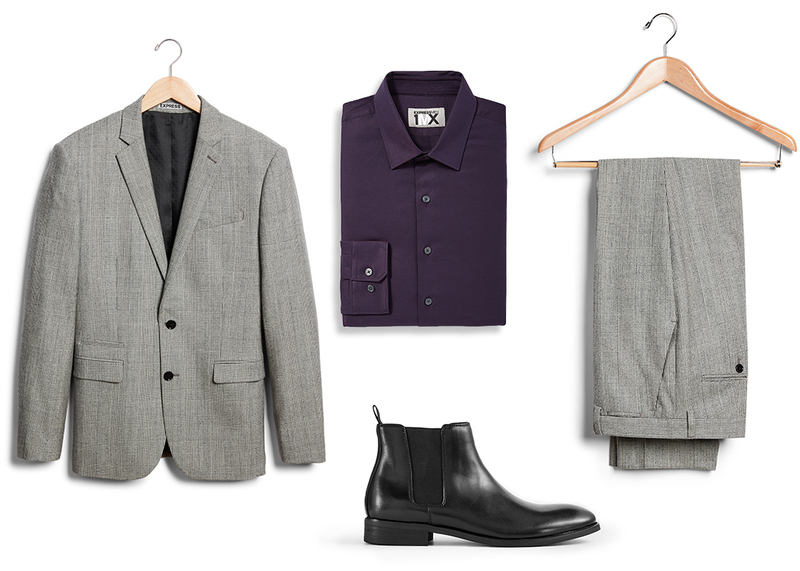 A purple shirt worn under a slim gray suit in a cool check pattern is just flashy enough. Finish the look with slick black Chelsea boots (a.k.a. Beatle boots) and you just might inspire hordes of teenage girls to start chasing you down the street. At the very least you’ll turn a few heads. 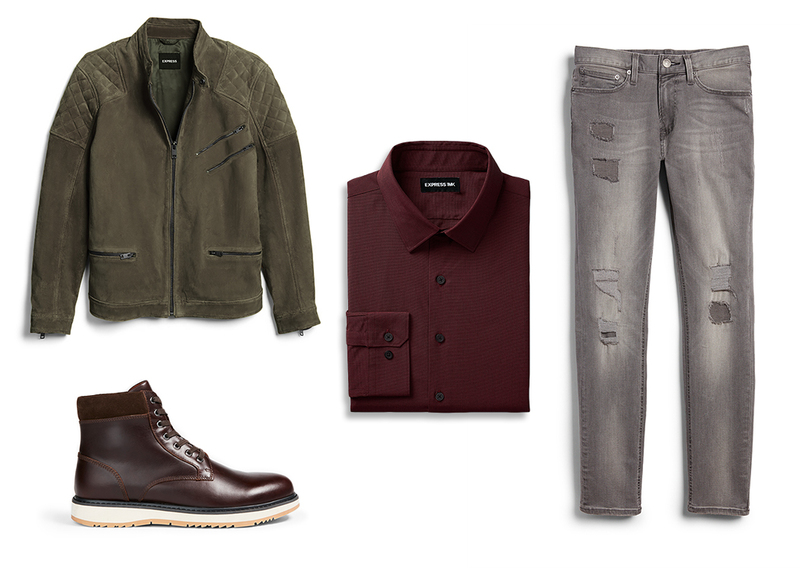 Let this earthy color shirt give your favorite off-duty staples a little bit of polish. We know you want to wear your favorite jeans, boots, and leather jacket 24/7, and we don’t blame you—they always look cool. The trick is knowing how to dress up these staples for slightly more formal affairs, like daytime dates and networking events. Enter: the burgundy button-down. The earthy color feels at home with your indigo and brown wardrobe icons, while the shirt’s inherent polish elevates your whole fit. Amp up the James Bond vibe in your suiting wardrobe in one simple move. When classic work suits and tuxedos feel too by-the-book, a black shirt is the perfect way to add edge. Button it up and wear it with a coordinating skinny black tie or let it stand alone. With great hair and slick shoes to seal the deal you’ll look mysterious without being the guy who stomps all over the dress code. Edgy is good, out-of-control, not so much. Give neutral color basics an infusion of energy with this unexpected color. 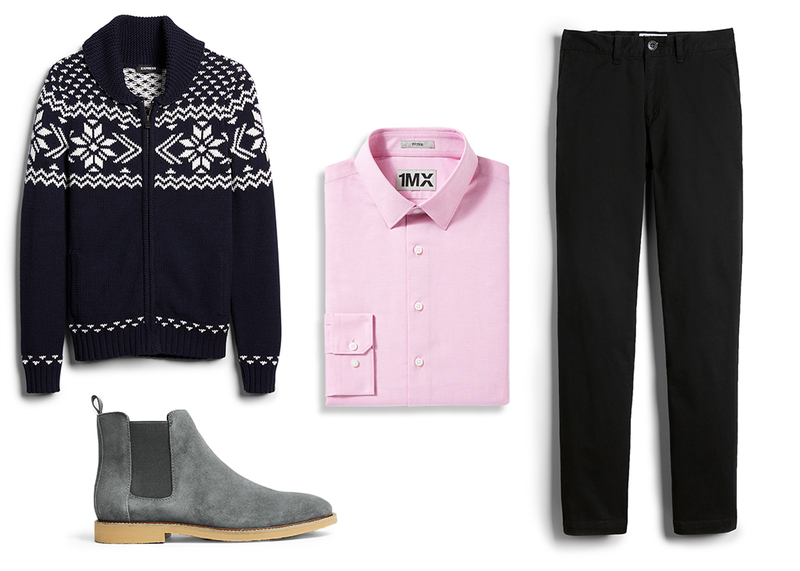 The pink shirt is a businessman staple but it doesn’t always have to be so preppy-corporate. For an unexpected spin on 20-something weekend style, we love it with black chinos, suede boots, and a big, chunky cardigan. Thanks to the shirt’s slightly more formal feel, you can let the day take you wherever; from art galleries to fancy lunches and beyond.